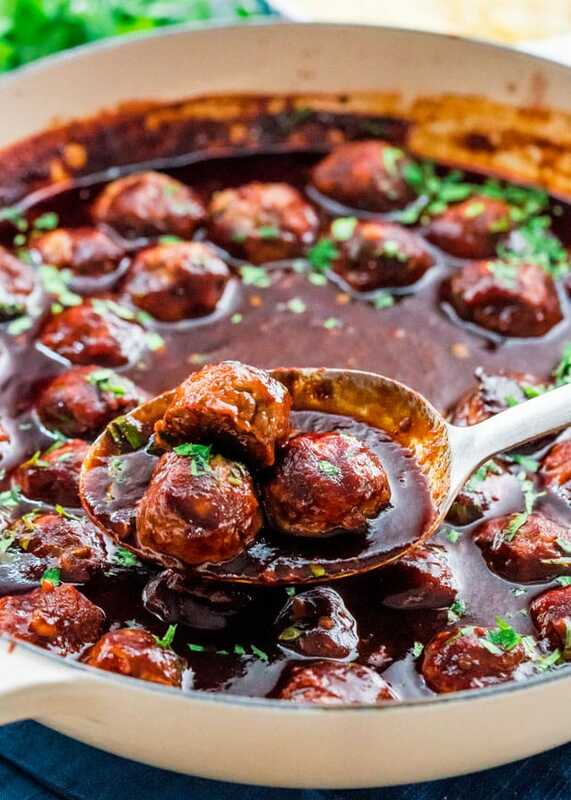 These Stout Meatballs with BBQ Sauce are EVERYTHING! The name really does say it all! They’re juicy, a bit spicy, not to mention they’re baked and then drowned in a homemade stout BBQ sauce that is to die for. Yes, the BBQ sauce is made with stout as well! 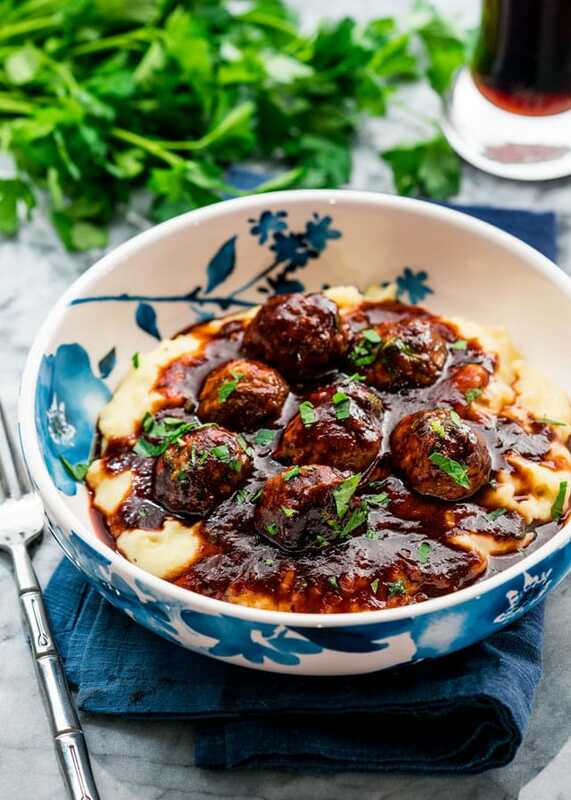 Monday Meatball Mania is back with these fabulous Stout Meatballs with BBQ Sauce which is made from scratch. In case you forgot, I started this Meatball-a-thon last month with my friend Nagi from RecipeTin Eats. The rules are simple, one meatball recipe every last Monday of every month, and that’s it as far as rules go. Whatever crazy and tasty meatball concoctions we come up with, we’ll share with you. Anything goes. Why meatballs? Because meatballs are great, they’re versatile, and they’re great in and on everything. You can bake them, you can fry them, you can slow cook them, you can stuff them with cheese and make them all gooey and delicious, they’re great in sandwiches, spaghetti and meatballs, meatball casseroles, meatballs in soups, meatballs on pizza, I’d even put them on a salad, the sky is the limit. 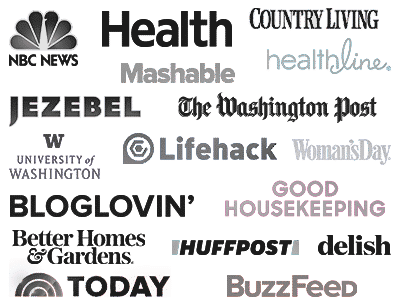 I have made many meatballs in my day, many different kind of meatballs and you can find them all here, in case you’re wondering. But after making and trying all these different meatballs, I do have to say I have my favorites. 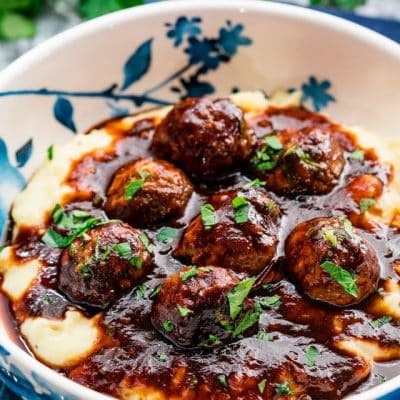 While there are many favorites, and come on let’s face it, I pretty much like anything I make, but there’s nothing I like more than hearty meatballs swimming in some kind of sauce or gravy then served over creamy mashed potatoes. To me, that is the epitome of comfort food. Let’s face it though, we’ve probably all grown up eating lots of meatballs, regardless of where you are in the world. Which is why I think you could never run out of meatball recipes, because there are so many different ingredients you can add to meatballs and make them unique. The important thing to remember about meatballs is don’t be afraid to add flavor. Which brings me to what makes these meatballs special, the STOUT! My stout of choice is Guinness but you can use your favorite stout. The stout is not only in the meatballs but also in the BBQ sauce, so you will definitely taste it. The BBQ sauce is very simple to make but the end result is incredible. The stout is what makes the sauce look super glossy and loads it with flavor. Don’t be afraid that it will taste boozy because it won’t. The alcohol evaporates during the cooking process, leaving you with a rich and tasty sauce. Adding the stout to the meatballs themselves tenderizes the meat a bit and makes them juicier, plus adds a lot of flavor. I also baked my meatballs this time but I do add them to the sauce at the end. You will want them to simmer in the sauce for a few minutes to let that sauce penetrate the meatballs a bit. Serve a big bowl like this to your beer drinking friends, with a glass of Guinness on the side and I’m sure you will be their favorite friend forever. 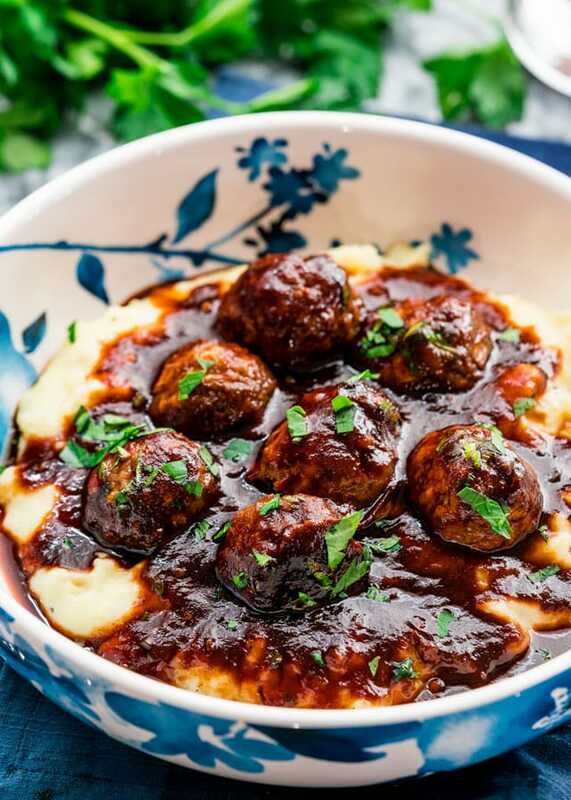 These Stout Meatballs with BBQ Sauce are EVERYTHING! The name really does say it all! They're juicy, a bit spicy, not to mention they're baked and then drowned in a homemade stout BBQ sauce that is to die for. Yes, the BBQ sauce is made with stout as well! Preheat your oven to 400 F degrees. Line a cookie sheet with parchment paper; set aside. In a large bowl add all the meatball ingredients and mix well using your clean hands. Shape the meat mixture into balls around the size of a golf ball. You should get around 40 meatballs. Place the meatballs onto the prepared baking sheet and bake for about 30 to 40 minutes or until golden brown. Start making the sauce while the meatballs are baking. Heat the olive oil in a large skillet over medium-high heat. Add the garlic and cook for about 30 seconds until aromatic. Add all of the remaining sauce ingredients, except for the parsley, and whisk well. Bring to a boil, then turn down the heat to a simmer and cook for about 15 minutes or until the sauce has thickened and reduced by about half. Add the meatballs to the sauce and toss them around making sure they are fully covered in sauce. Simmer for another 5 minutes. Garnish with fresh parsley and serve over mashed potatoes. Before making your meatballs, you can place the meatball mixture in the fridge for 1 hour to up to a day. This will help the meatballs hold their shape while cooking. Since I baked these, I wasn't afraid of them losing shape, but if you choose to fry them instead, you might want to refrigerate the meat first for about an hour. Meatballs with sauce/gravy tend to freeze really well, use an airtight container or ziploc bag. When ready to serve, thaw them out slowly and reheat in a saucepan, or in a microwave. Nutritional information assumes about 5 meatballs and sauce per serving, no mashed potatoes. Hey! Lovely Recipe. How about we add a bit of peri peri sauce to this? Looks delicious. Loved the clicks. Dish looks yummy and excellent presentation! Delicious! Very flavorful sauce for the meatballs. This recipe is one I will make more often. Thanks for sharing! 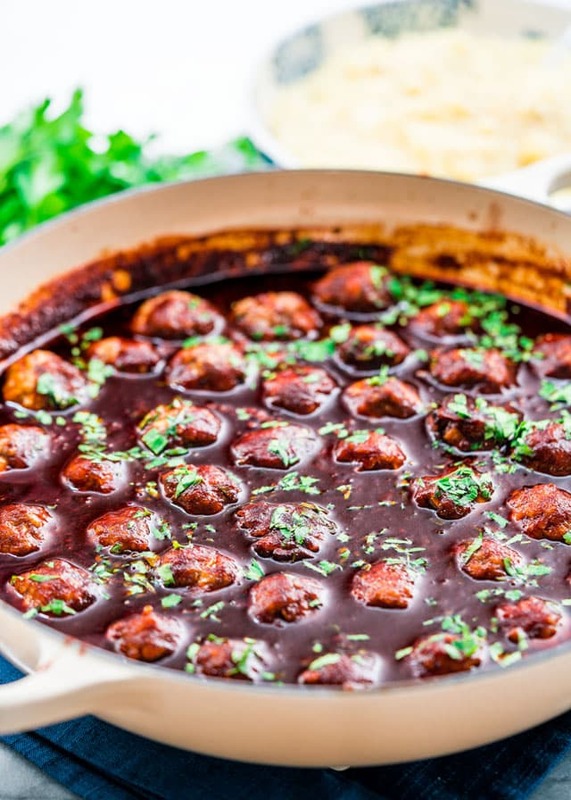 These meatballs look absolutely delicious! 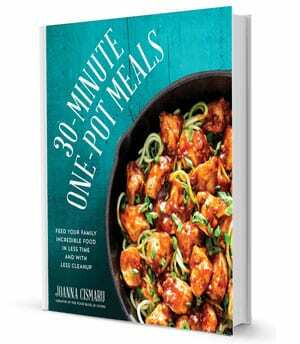 I’d love to give this recipe a try! I’m not a beer drinker but I’ll still be your best bud if you make these for me!!! ? HAIL to the Meatball Queen! ? LOL You are quickly becoming one too, my friend! Funny your post shows meatballs today, I was just asking mt brother if he knew / had any good recipes for meatballs as I want to make some and keep in the freezer. 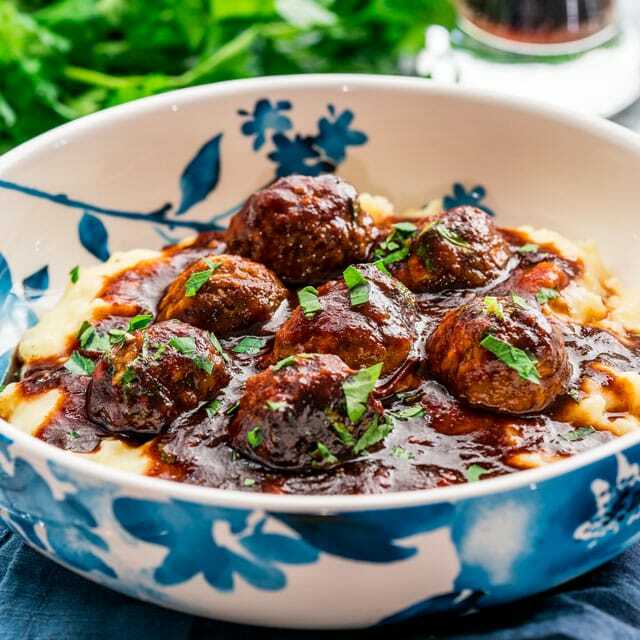 What recipe would you suggest as an all around versatile meatball. I want one that I can use for a meatball sandwich with a tomato sauce? Oh that’s a tough one..so many meatball recipes to choose from but the godfather meatball sub one should work for you. Can these be made in the crockpot? They sound delicious.